WASHINGTON — Pharmacy giant CVS Health has agreed to buy Aetna in a $69 billion blockbuster acquisition that could rein in health-care costs and transform its 9,700 pharmacy storefronts into community medical hubs for primary care and basic procedures, people familiar with the deal said Sunday. The pharmacy chain agreed to buy Aetna for about $207 per share, or $69 billion. If approved by regulators, the mega-merger would create a giant health care company, allowing CVS to provide a broad range of health services to Aetna’s 22 million medical members at its nationwide network of pharmacies and walk-in clinics, and further decrease the drug store titan’s reliance on the retail sales that have faced increasing competition. And the deal is likely to set off even more mergers in the health-care industry, which has been undergoing consolidation and faces potential new competition from Amazon. ‘‘I think it will create more consolidation among the insurers and retailers, blurring the lines,’’ said Ana Gupte, an analyst at Leerink Partners, who recently pointed to retail giants Walgreens Boots Alliance or Walmart as potential ‘‘dark horse acquirers’’ of the health insurer Humana. The deal is aimed at creating a new type of health care provider capable of remaining standing amid seismic shifts in the industry. Wall Street analysts have said that the deal could lower health spending — if, for example, CVS can push customers to use walk-in clinics instead of an emergency room for minor problems. But consumer advocates argue the deal would limit consumer choice and could make it even harder for new companies to enter into a market increasingly dominated by behemoth companies. Even before the announcement, the familiar drug store chain has been a dominant player in the big business of negotiating drug prices for insurers and employees. 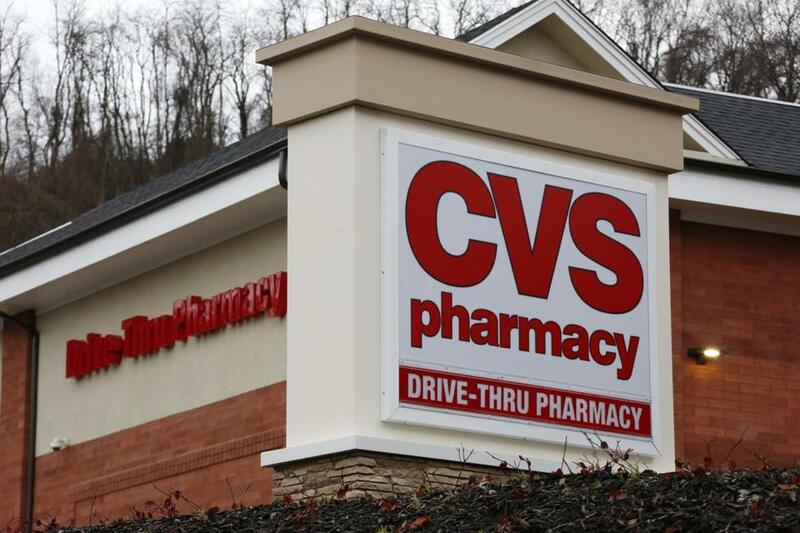 The merger would give CVS an even broader role in managing health care. The combined company could leverage massive amounts of data from both Aetna’s medical claims and CVS’s vast number of touchpoints to consumers, including its 9,700 retail stores and 1,100 MinuteClinics. 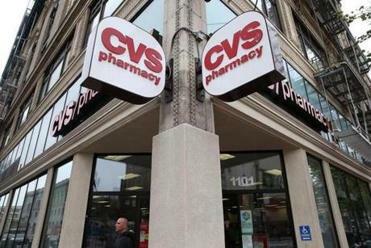 CVS could turn those locations into a kind of community health hub, where pharmacists and nurses provide follow-up and monitoring to patients recently released from hospital — and so help avoid re-admission. (Hospital readmissions are a growing cost in health care). The storefronts could also transform preventative care, offering wellness, nutrition and even imaging services — saving costs by keeping people healthier and providing care in a lower-cost setting than a hospital. Pharmacists and nurses could help make sure patients with chronic diseases stay on their meds, which would keep those conditions easier to manage than when they rage out of control. The mere possibility that Amazon will soon begin selling drugs has shaken the stocks of companies up and down the drug supply chain, from wholesalers to pharmacies. The deal would expand CVS’ business beyond the business of selling drugs and negotiating drug prices, to managing all aspects of a patient’s entire health care — and could shift its storefronts to become medical hubs, rather than aisles stocked with consumer goods that people can easily buy in other stores or online. The deal would also protect against competition from health insurers, particularly UnitedHealth Group, that have brought the business of negotiating drugs in-house instead of buying services from a middleman. It will effectively cut out the middleman in negotiating drug prices for health insurers, since CVS is that middleman today, and lock in Aetna’s medical members for the pharmacy management side of CVS’ business. That fundamental restructuring is part of an industry-wide move away from managing different aspects of patient care, such as drugs or hospitalization, in isolation. Martin Gaynor, a professor of economics and health policy at Carnegie Mellon University, said that while a CVS-Aetna merger didn’t strike him as a deal that would clearly reduce competition, it wasn’t clear why the companies needed to combine at all, since CVS already has Aetna’s business as a pharmacy benefit manager. He pointed to the Justice Department’s recent challenge of a different merger, between AT&T and Time Warner, as evidence that such mergers could raise antitrust concerns. ‘‘For those people who have spent endless hours and long lines at CVS stores, trying to figure out how to meditate while standing, this merger is bad news. It means, increasingly, they’re going to be forced into those long lines. CVS doesn’t win points on service, and its these kind of vertical relationships that raise prices, and deny choices for consumers,’’ Balto said.